As we reflect on the past with friends and family, we often use photo albums to share our memories – memories that bind us together and reveal how we got to where we are. But what about our careers? Although the results of our work may linger, mementos of adventures along the way are often lost in the rush of events. Only too late do we realize what we 'should have saved'. It was different for the VLSI revolution in microelectronics; perhaps it was the exciting visual artifacts, or the shared-sense of breaking new ground. Whatever the reason, many participants saved old treasures from those years (1976-1980) – research notes, prototype silicon chips and chip photos, even huge color check plots – and stored them away for decades. During 2008-2010, members of the original VLSI research team, along with colleagues in academia and industry, began gathering up, scanning and photographing such artifacts – and then posting them online. The resulting VLSI Archive helps bring those exciting days back to life. The online VLSI Archive Spreadsheet enables easy access to its wide array of contents, and its mass of primary historical evidence also provided a great starting-point for writing a memoir about the work. "The book that changed everything", Electronic Design News, Feb. 11, 2009. "The VLSI Archive", Electronic Design News, June 3, 2009. 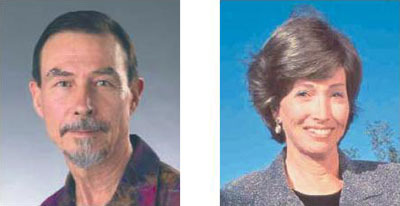 "Unsung innovators: Lynn Conway and Carver Mead - They literally wrote the book on chip design", Computerworld, Dec. 3, 2007. "By the mid-1970s, digital system designers eager to create higher-performance devices were frustrated by having to use off-the-shelf large-scale-integration logic. It stymied their efforts to make chips sufficiently compact or cost-effective to turn their very large-scale visions into timely realities. 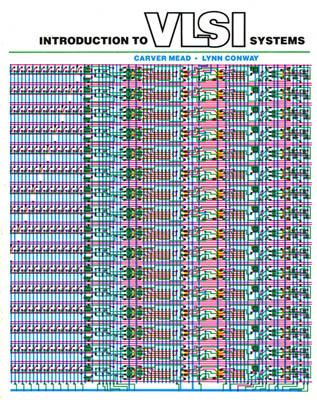 In 1978, a landmark book titled Introduction to VLSI Systems changed all of that. Co-authored by Mead, the Gordon and Betty E. Moore professor of computer science and electrical engineering at the California Institute of Technology, and Conway, research fellow and manager of the VLSI system design area at the Xerox Palo Alto Research Center, the book provided the structure for a new integrated system design culture that made VLSI design both feasible and practical. Introduction to VLSI Systems resulted from work done by Mead and Conway while they were part of the Silicon Structures Project, a cooperative effort between Xerox and Caltech. Mead was known for his ideas on simplified custom-circuit design, which most semiconductor manufacturers viewed with great skepticism but were finding increasing support from computer and systems firms interested in affordable, high-performance devices tailored to their needs. Conway had established herself at IBM’s research headquarters as an innovator in the design of architectures for ultrahigh-performance computers. She invented scalable VLSI design rules for silicon that triggered Mead and Conway’s success in simplifying the interface between the design and fabrication of complex chips. The structured VLSI design methodology that they presented, the “Mead-Conway concept,” helped bring about a fundamental reassessment of how to put ICs together." - Citation from the induction of Mead and Conway into the Electronic Design Hall of Fame, in 2002. This page provides links into Lynn Conway's online internet archive of documents from the Mead-Conway VLSI chip-design revolution of the late '70's and early '80's. Many of the original working papers and key documents have been scanned and posted as PDF files in the archive, and are accessible via the links from this page. Further more-detailed links to this information are contained in (i) a page of main links to key documents, (ii) a page of links re the impact of the Mead-Conway work and (iii) a spreadsheet of links into all the detailed book chapters, document sections and photos in the archive. Included in the archive is the series of '77-'78 drafts of the text Introduction to VLSI Systems by Mead and Conway. These self-published drafts were used to document and test their evolving design methods prior to the formal publication of the textbook in late '79. Also included are the plan and lecture notes for the pioneering VLSI design course Lynn Conway taught at M.I.T. in 1978. Lynn compiled all that information into a "Guide for the Instructor of VLSI Design", enabling rapid propagation of her course in subsequent years. The archive also includes both the 1st and 2nd Editions of the "Guide to LSI Implementation", edited by Hon and Sequin, containing critical knowledge regarding fast-turnaround chip implementation developed by the Mead-Conway teams at Xerox PARC and Caltech. The Mead-Conway text and the two guidebooks were used to launch VLSI design courses at 12 universities in the fall of 1979. In advance of the courses, Lynn and her team at PARC innovated and implemented a new type of internet-based "VLSI implementation system" to support rapid-prototyping of large numbers of chip design projects. In a major internet-happening called "MPC79", the "MPC System" was deployed to support rapid prototyping of design projects from all 12 courses that fall. The archive includes many documents, data sheets and chip photos from MPC79, all of which are accessible via VLSI Archive Spreadsheet. The success of MPC79 and the subsequent MCP580 set the stage for the rapid spread of the Mead-Conway methods into over 100 universities within a few short years. It also led to DARPA sponsorship of VLSI research in the universities to follow-up on the Mead-Conway innovations and to DARPA support of rapid-chip-prototyping via a new national-level service called "MOSIS" (directly based on the MPC system technology Lynn pioneered at PARC). For an overview of the development of the Mead-Conway methods and their rapid spread in the university and entrepreneurial communities, see "The MPC Adventures", by Lynn Conway. See also Lynn's "VLSI Reminiscences" for insights into the context of the time, the motivations for the Mead-Conway work, how it all got started and how it unfolded. Note: See the VLSI Archive Spreadsheet for links to specific individual documents, pre-publication book chapters, all the MIT78 and MPC79 chip-photos, etc. For more details on the unfolding of events, see the VLSI Archive Main Links. In May 2008, Lynn met with archivists at the Computer History Museum in Mountain View, CA to begin the process of archiving documents, photographs and artifacts from the Mead-Conway VLSI design revolution at the Museum. This will be an ongoing process as further items are discovered. Hardcopies of many key original documents have already been archived at the museum. We'll post a spreadsheet sometime soon that identifies which items have been placed there.